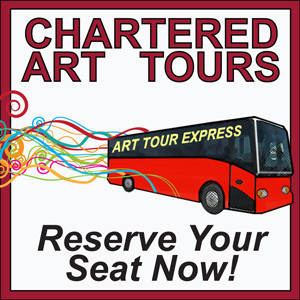 Arts Visalia is proud to provide chartered bus trips to museums, galleries, and other art-related destinations throughout California. It’s a great opportunity to share a museum experience with your fellow art lovers! Simply reserve your seat and leave the driving to us. Each trip features a new exciting California art locale. Your ticket purchase includes bus fair and museum admission. Refreshments and meals on your own at planned stops along the way. Keep checking back here for future bus tour information.